The month of October is almost over and I have not written a single post. Well, I do need a day job and it’s been incredibly demanding over past few months. A number of projects that kept roughly 50 people working over a half a year are in the finishing stage. Multiple systems that have been developed over that period have to integrate and start talking to each other in production in just a few days. No surprise it keeps me away from blogging, yet I’ve committed to at least one post a month and there is no way around it. By the way, talking about distributed projects, why are they so… insane? 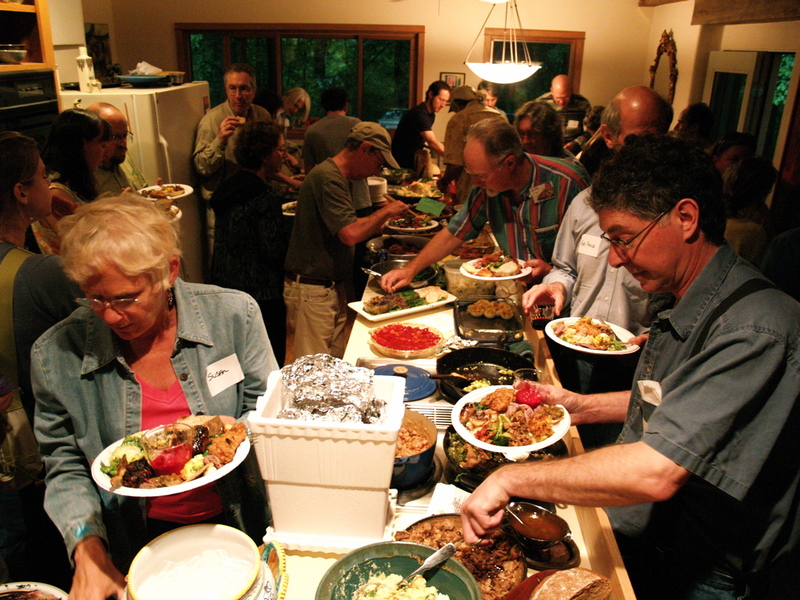 Have you ever tried to setup a potluck with say 10-15 families? Everyone needs to come in at approximately the same time, bring the food they committed to making, warm it up, set up table, and party on. Pretty simple task isn’t it? So let’s throw in some complications, typical in IT world. The families have to fly in from different parts of the world. Some of the families never met each other. Some of them do not like each other. Some speak different languages. You have disagreements on menu, confused about dietary restrictions, and the place of meeting is in flux. Your – the organizer – have to deal with your own waterfall of issues – mortgage refi, kids school troubles, broken plumbing, in-laws arriving unexpectedly, less than encouraging results from the last physical, and a recent escalation of tension with your boss… And there are only a couple days to the party. OK. Now I think we have a good metaphor for what my team have to accomplish. ‘Too many cooks spoil the broth, and half-a-dozen gentlemen aboard one ship are as bad as two kings of Brentford.’ [1855 C. Kingsley Westward Ho! II. vii.] There are more quotes and proverbs stating the same point that I can possible number. And the guidance in this case is very simple; it was clearly stated in ’86 movie Highlander – “There can be only one”. There can be only one head of the engagement with authority across all troops involved. Don’t change horses in midstream. Adjusting your methodology, changing processes and procedures are better left to discussion on full stomach, when all the potluck meals have been served and consumed. Implementing even most brilliant SDLC improvements does not belong to the final stage of engagement. Watch the clock. I am not talking about counting the minutes left till the launch press conference, no, I am talking about hours your best performers put on the project. There are limits to what even the strongest members can continuously put in without deterioration in productivity. A minor mistake by a release manager who has been working 70 hrs a week for past two months will throw you back completely destroying the gains built to date by all that overtime.